E-waste diversion has stalled due to a lack of awareness. Do you ever find yourself asking, where can I dispose of my electronics? How about conveniently dropping them of at a Toronto Public Library branch or another location near you! 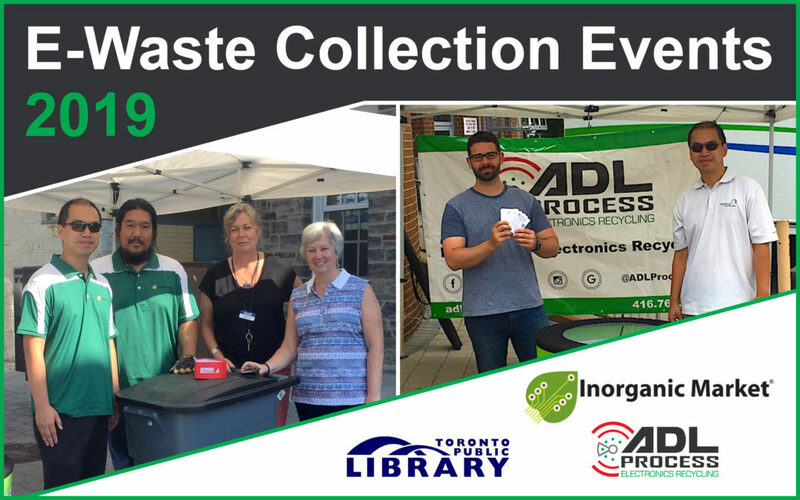 ADL Process, in partnership with the not-for-profit organization Inorganic Market, selected branches of the Toronto Public Library and other partners, is organizing for the 3rd year an e-waste community awareness and collection program. We will accept a wide range of used electronic that includes computers, phones, tablets, TVs, printers,… View the full list here. For more information about the events, visit the ADL process Facebook page or contact Laurent Ho at [email protected]. We hope to meet many of you!